After much consideration, the 2015 Chrysler 200 is considered a stylish, fuel-efficient, and safe luxury vehicle. With many differences from the 2014 edition, the 2015 model has a completely powertrain, body, and cabin with room for five passengers, innovative technology, comfortable seating, and a return of 36 highway MPG. The MSRP starts at $21,700, which is highly affordable for a mid-sized sedan. Visit Reedman Toll Chrysler Dodge Jeep Ram of Jenkintown and test drive your 2015 Chrysler 200 today. The 2015 Chrysler 200 offers two distinctive powertrains: a 2.4L Tigershark® MultiAir® II four-cylinder engine and a 3.6L Pentastar® V-6 engine with 295 horsepower. While both engines are mated with a nine-speed automatic transmission, the four-cylinder engine returns 36 MPG highway and the V-6 returns 32 MPG highway. As an added bonus to excellent fuel economy is a fun gear-shifting knob. The aesthetics of the knob make the cockpit look much more sophisticated by removing the bulky shifting lever. The 2015 Chrysler 200 handles very nicely with a smooth acceleration and minimal hunting. Additionally, a standard feature for the 2015 Chrysler 200 is AWD with an available advanced AWD system. This is a first for Chrysler and the 200 line as well as it being an unusual feature for mid-sized sedans. The slender, aerodynamic, and sleek curves of the 2015 Chrysler 200 body flow smoothly into its cabin's modern, classy interior. Those familiar with European vehicles can easily spot where the inspiration came from with the dramatic redesign. 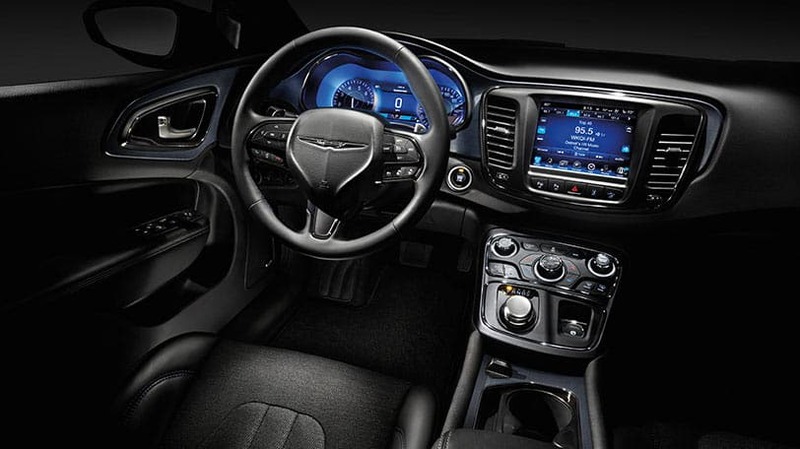 The 2015 Chrysler 200 has both cloth and leather seats available with a heated and ventilated option. A leather-wrapped steering wheel and lumbar support are both standard. 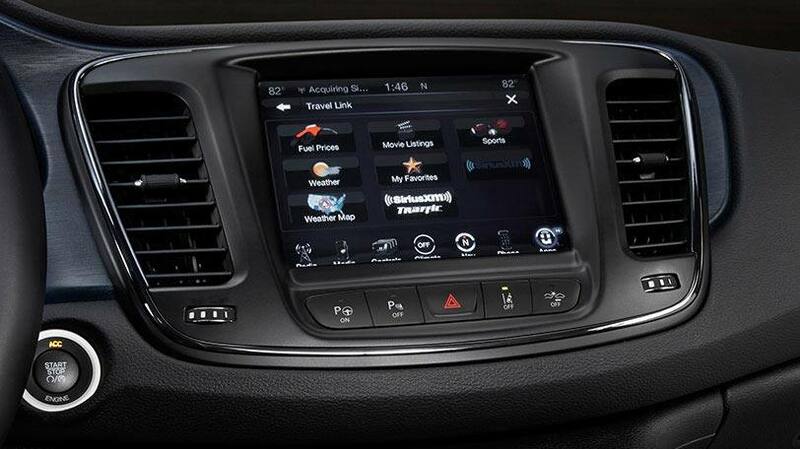 The Uconnect® system allows you to stay up to date with traffic, weather, sports, movies, and more through an 8.4-inch touchscreen. Learn more about this model on the Official Chrysler 200 Website.